Paris’ Notre Dame cathedral was consumed by flames yesterday, but plans to rebuild it are already underway. 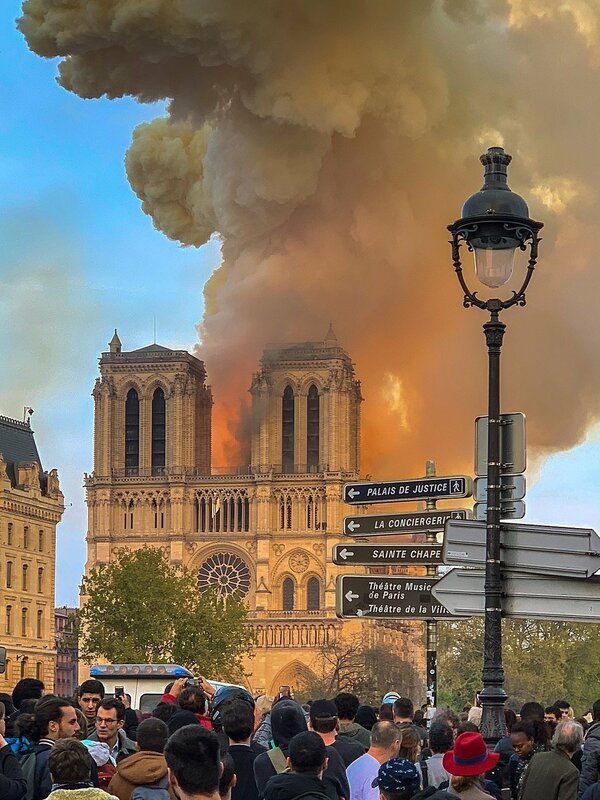 It’s a “terrible tragedy,” French President Emmanuel Macron said as he vowed to rebuild the 12th-century structure, widely considered to be one of the finest examples of French Gothic architecture. The cathedral was in the midst of a $6.8 million renovation project to repair damage that had accumulated over eight centuries. The building has been damaged many times in its history—including during the French Revolution, after which it was largely neglected, and during the liberation of Paris in World War II—and the many previous restoration and repair projects have familiarized architects with the cathedral’s makeup. Some have expressed a hope that it will be possible to replicate it, but it will never be what it was. The repair effort will cost millions of euros, and French citizens have promised over €600 million so far. Billionaires François-Henri Pinault and Bernard Arnault have between them pledged over €300 million to rebuild the landmark. “The Notre-Dame tragedy strikes all French people, as well as all those with spiritual values,” said Pinault, who is the chairman of Artémis and married to Mexican-American actress Salma Hayek. “Faced with this tragedy, everyone wishes to bring this jewel of our heritage back to life as soon as possible,” he told The New York Times. 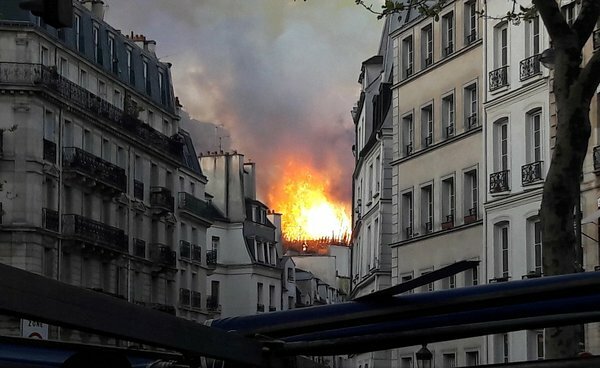 Crowds gathered as flames consumed one of Paris’ most historic landmarks. “Notre Dame is more than a religious symbol, it speaks of human achievements and great art,” said Elizabeth Stribling, chair of the society. “Although it’s located in France, it is part of great world art that informs our culture and heritage. We must all spring to action.” The France–based Friends of Notre-Dame is also taking online donations. 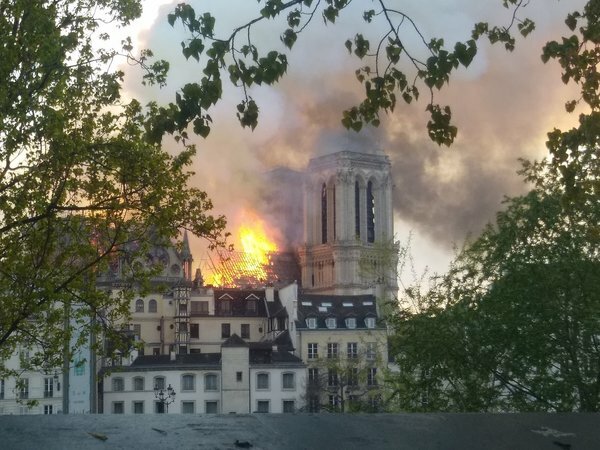 One of the cathedral’s two towers can be seen here as the roof is engulfed in flames.